Any events that have already happened are not displayed. All 2019 events have not been officially supplied. Some items on this page have been deducted from the 2018 schedule, and based on previous year dates, are likely correct. UNO Associate Professor of History Dr. Maria Arbelaez will discuss the Spanish-American War and the involvement of Douglas County and Nebraska. Born in Bogota, Columbia, Dr. Arbelaez is currently an Associate Professor at the History Department, the Office of Latino-Latin American Studies, and Women and Gender Studies at the University of Nebraska at Omaha. She has taught courses and authored several articles on Mexican American history, religion, and women studies. Tickets: $10, Florentine Players (with active, paid membership), Groups of 8 or more: $8; available by mail, online, or at the door. Listen to Rhonda and Wayne Stuberg discuss the story of their iconic Blackstone home, the Gottlieb Storz Mansion. Auditions for this show: Very Tentative:* February 7th & 8th (Sunday-Monday) – 7:00 P.M. Listen to Dennis Bryers, Park & Recreation Planner for Omaha Parks Department, discuss the rich past, present, and future of the Omaha Parks System. DCHS works to enliven and preserve historical insight in Douglas County. Through this annual vintage runway show, we invite the community to join us and experience the history of Omaha! As part of the 140th celebration of the General Crook House, DCHS is offering FOUR Frontier Dinners throughout the year. Choose your day and come learn about the history and restoration of the Crook House! The year is 1879 and Fort Omaha just built a fine Italianate style house, known as Quarters One, for its revered Army General and successful Plains Indian Fighter, General George Crook. Invites you to their Annual Roast Beef Dinner on Palm Sunday, April 14th from 11:30 - 6:00 P.M., downstairs in the Parish Center. 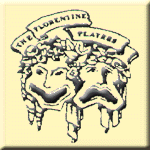 Ticket Prices: $10, Florentine Players (with active, paid membership), Groups of 8 or more: $8; available by mail, online, or at the door..
Auditions for this show: Very Tentative:* February 10th & 11th (Sunday-Monday) – 7:00 P.M.
61st Annual Florence Days 2019 Florence Days Newspaper is not available as a PDF file so far this year. All of our attractions will be open Saturday and Sunday. Ticket Prices: $10, Florentine Players (with active, paid membership), Groups of 8 or more: $8; available by mail, online, or at the door. Douglas County Historical Society StreetTalk Tour - 2019. On our tour on October 3, we will be visiting the downtown streets of Omaha to take a tour on Ollie the Trolley, and learn about the history of businesses and significant events from 8th Street to 26th Street. You won't want to miss this unique opportunity to learn about the history of downtown Omaha! Florentine Players – 2019 October – Florence Horror Show – Hint! Ticket Prices: $10, Florentine Players (with active, paid membership), Groups of 8 or more: $8; available by mail, online, or at the door. (Reservations required). Time from 9 A.M. to 12 P.M.